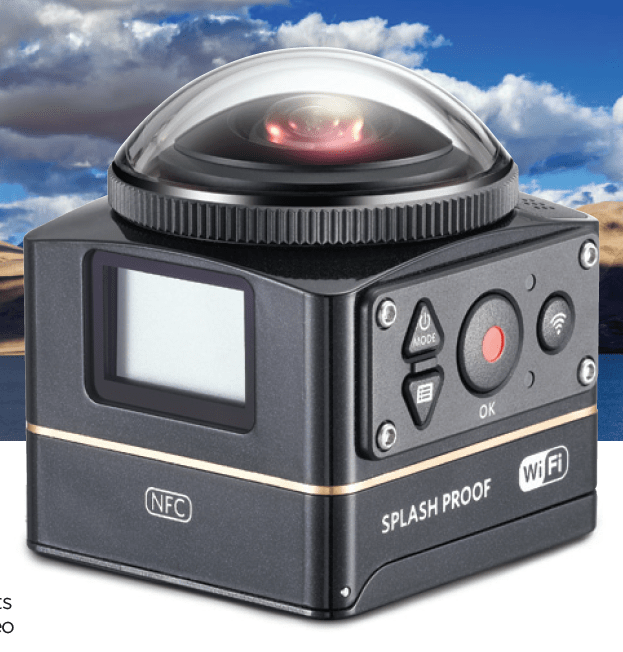 The Kodak Pixpro 360 4K Camera is the world’s first and most complete 4K recording device to capture stunning 360° immersive videos and still images without the need for multiple cameras. 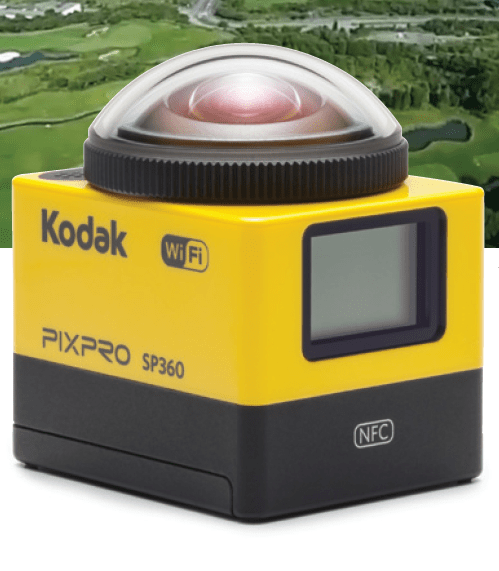 Natively compatible with Facebook and YouTube 360 video products, the Kodak Pixpro 360 4K captures 360-degree field of view in multiple directions via its dome-shaped lens design and can be panned not only 360-degrees horizontally, but also up and down with a host of different vantage points and views for playback post capture. It is easy-to-use and small enough to fit in the palm of a hand or pocket for extreme portability, as well as being NFC and Wifi enabled so it can be used everywhere and anywhere. Powered with a professional-quality BSI Image sensor for better videos, the 12MP BSI CMOS sensor and advanced optics helps the device capture rich, detailed images in 4K (2880:2880), and also includes features including time-lapse video, burst mode as well as 4K still photos. Compatible Devices – iOS Devices (version 8.0 and up) / ANDROID Devices (version 4.2 and up) supported. iPad mini 1/ iPad 2/ iPhone 4s and below not supported. The UK’s biggest gaming festival is just around the corner, showcasing some of the latest games and gaming equipment as well as exciting live panels and evening activities. 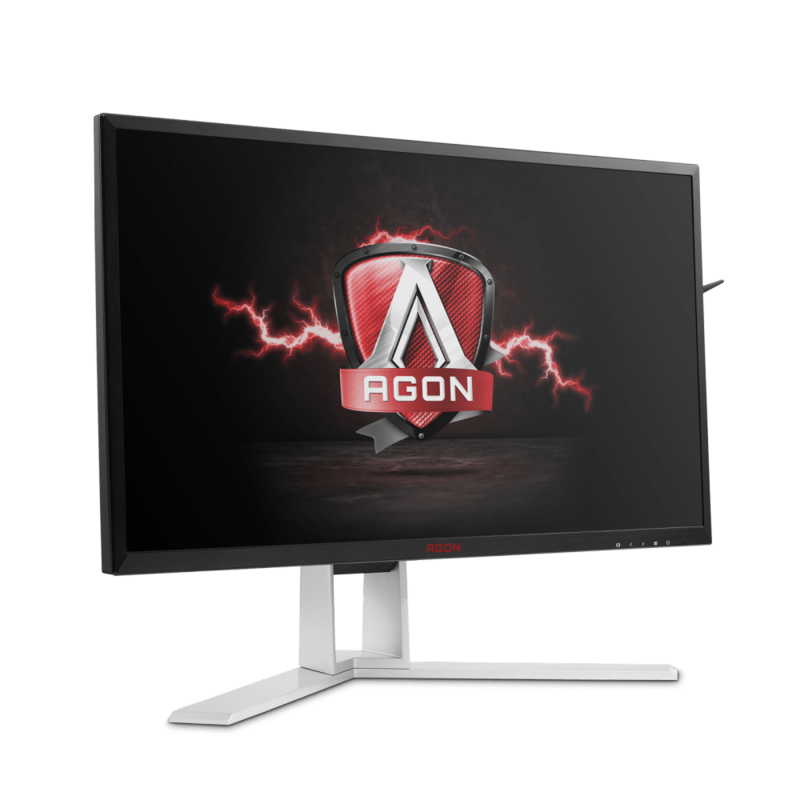 This year, AOC not only supports the festival as a partner, but also invites you to take a look at the new premium gaming monitor series AGON, boasting high resolution display models with handy features geared entirely towards gamers’ needs. Explore the just recently launched 27″ AOC AG271QG/QX and 24″ AOC AG24QG/QX monitors, which are available with G-SYNC or Adaptive Sync (FreeSync compatible) and respectively boast powerful IPS and TN panels. Each model is further kitted out with useful gaming features such as changeable AOC Game Mode Presets or AOC QuickSwitch Controller, enabling the user to easily switch between modes and adjust the display settings. Of course, visitors will also get the opportunity to experience the monitors in action. The first-person shooters Counter-Strike: Global Offensive as well as Overwatch can be played at the booth. AOC also sponsors the CS:GO tournament during the event. Those interested in challenging themselves or updating their gaming skills can look forward to meeting and competing against the professional gamers of Team Infused at the stand. A special AOC treat is also awaiting visitors of the BYOC (Bring Your Own Computer) hall. The first 500 gamers who enter through the BYOC door on Friday and Saturday will receive AOC branded goodies. These will make sure they enjoy the intense matches taking place at BYOC hall even more. On all four days, lucky guests can also win an AOC monitor at the GIGABYTE UK Charity Raffle while at the same time helping to raise funds for the baby hospice Zoe’s Place. INSOMNIA58 takes place from 26 until 29 August 2016 at THE NEC, North Ave, Birmingham, B40 1NT.